The Australian Labor Party announced yesterday that companies with more than 1,000 employees will have to publish data on the difference between men and women’s average wages in their companies, if it forms government after the next election. At present companies with more than 100 employees are required by law to report a range of data about the gender composition of their workforces, and the pay gap between men and women, to government through the Workplace Gender Equality Agency. However, the data is not public, with the agency only publishing the aggregate data per industry segment. “We believe that by asking large companies to report on the difference between men and women’s wages in their company they’ll focus even more on reducing that gender pay gap in their business,” deputy leader of the opposition Tanya Plibersek said yesterday. The government will “closely examine” the outcomes of similar policies in other countries said Minister for Women Kelly O’Dwyer on ABC RN Breakfast this morning, but added that a growing economy was a better way to reduce the gender pay gap. If the proposal goes ahead – whether via a Labor government or a coalition hoping to remedy its ‘woman problem’ – it will lay bare those companies that have the highest gender pay gaps and fewest women in leadership positions. So how would Australia’s biggest IT sector players fare? The best indicators come from overseas. Making gender pay gap data public is not a new idea. In Belgium, Austria, Germany and the UK, organisations are required to make their gender pay gaps public or available to employees. The UK has been publishing pay gap data for all companies with more than 250 employees since April. Employers must supply the mean and median hourly rate of male and female workers, the proportion of women in each pay quartile, the percentage of men and women who receive bonuses; and the mean and median bonus amount for men and women. The results – including supporting statements from company execs – are published on the government’s Gender Pay Gap Service website. The median hourly rate for women working at Google in the UK is 16 per cent lower than that for men. Women’s mean bonus pay is 43 per cent lower than that received by men. The company has achieved a 50:50 gender split – but only among its lowest paid workers. In the upper two pay quartiles women make up 22 per cent and 25 per cent of the highest paid groups of workers. In its report to government, Google’s UK managing director Ronan Harris admitted: “We’re not proud of these numbers”. “The under-representation of women in senior leadership and engineering roles is a challenge for us and for the entire technology industry – and it’s one we’re working hard to address,” Harris added. In Australia, the company employs around 1,500 people, meaning it would be required to report its gender pay gap data under Labor’s proposal. In the UK, Microsoft’s median hourly rate for women is 8.4 per cent lower than men’s. Women’s median bonus pay is 11.4 per cent lower. 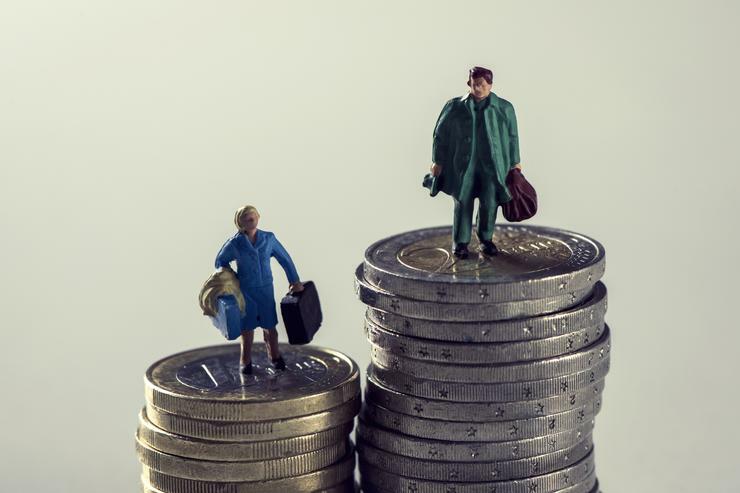 In the top two pay quartiles women make up just over 22 per cent of the workforce, a figure that rises to 35.3 per cent for the lowest paid quartile of employees. Despite the disparity, Microsoft is one of the best performing tech companies in the UK for gender equality. Unusually, Microsoft in Australia has made public some of the data it reports to the WGEA. For 2016/17, just over 27 per cent of its 1,278 strong local workforce were women. Among managers, the proportion was 35 per cent. “It’s ahead of many in the tech field – but there’s a way to go,” the company said. Big Blue in the UK has a disparity in the median hourly rate between men and women of 14.6 per cent. Women make up 17.5 per cent of the highest paid workers at the company and around 30 per cent in the other three quartiles. Women’s median bonus pay is 34.8 per cent lower than men’s. UK and Ireland chief executive Bill Kelleher put the pay gap down to “having a lower percentage of females in senior, higher paid roles” and committed to “reducing and eventually eliminating this gap over the coming years”. Despite headcount cuts in the thousands over the past few years, the company’s local arm remains above the threshold of Labor’s proposal. AWS’ gender equity figures are significantly worse. In the UK the cloud provider has a median hourly rate for women which is 18.4 per cent lower than for men. Women’s median bonus pay is a whopping 47.1 per cent lower than men’s. Only 17.4 per cent of the top pay quartile are women, which falls to 10.9 per cent in the lower middle quartile. The highest proportion of women (34.8 per cent) is in the lowest paid quartile. In Australia, AWS employs 247 people, which is below the threshold proposed by Labor.